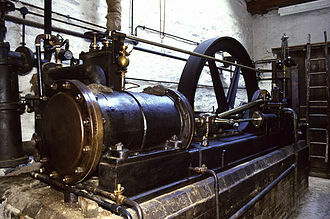 Jylland in the museum dedicated to her, Ebeltoft, Denmark 2005. 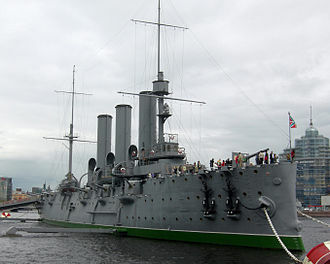 Jylland is one of the world's largest wooden warships, and is both a screw-propelled steam frigate and a sailship. She took part in the Battle of Heligoland on 9 May 1864, and is preserved as a museum ship in Denmark. She was built for the Royal Danish Navy in 1860 as a screw-driven warship with a wooden hull. The figurehead was performed by the sculptor Julius Magnus Petersen and represents the region of Jutland in the form of the shepherd's rod and the fishing net. During the Second War of Schleswig in 1864, she participated in the naval action against the Austrian-Prussian fleet in the Battle of Heligoland on 9 May 1864. 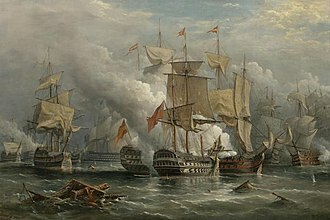 Jylland along with Niels Juel and Heimdall bested two Austrian frigates and three small Prussian gunboats, but was unable to maintain the blockade of the Prussian North Sea ports. Jylland sustained considerable damage during the battle. In the 1890s she was reduced to stationary use and barely escaped scrapping in 1908. She served as a barracks and training ship between 1892 and 1908. It was, however, decided to preserve her and she was towed to Ebeltoft in 1960. The hulked frigate further deteriorated until she was placed in dry dock in 1984. Restoration proved to be a major task; over 60% of the timber had to be replaced in addition to the rigging, armament, engines and loose gear. In Danish, she is known as simply Fregatten Jylland, although several ships have used this name. The restoration efforts were completed in 1994 and she is on permanent display in dry dock at the town of Ebeltoft, Denmark. A commemorative coin was issued by the National Bank of Denmark. Jylland is the last surviving screw frigate. ^ a b c Lincoln P. Paine (2000). Warships of the World to 1900. Houghton Mifflin Harcourt. pp. 87–88. ISBN 0-395-98414-9. ^ Michael Embree (2007). 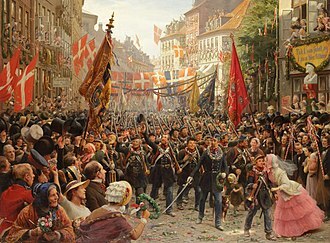 Bismarck's First War: The Campaign of Schleswig and Jutland 1864. Helion & Company Limited. pp. 281–286. ISBN 978-1-906033-03-3. 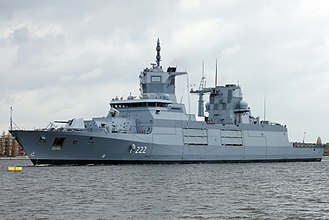 ^ "The Frigate Jylland". 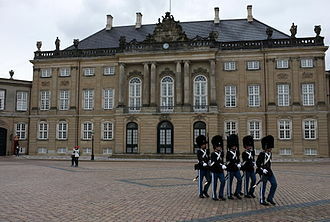 National Bank of Denmark. 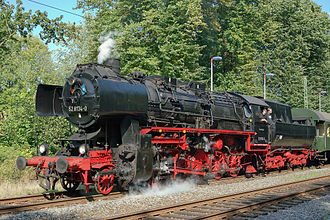 15 September 2011. Archived from the original on 16 October 2013. Retrieved 15 October 2013. Brouwer, Norman J. The International Register of Historic Ships. 3rd ed. London: Chatham Publishing, 1999. Robert J Gardiner (ed.). Conway's All the World's Fighting Ships 1860–1905. London: Conway Maritime Press, 1979. A modern sailing ship or sailship is any large wind-powered vessel. Traditionally a sailing ship is a vessel that carries three or more masts with square sails on each. Large sailing vessels that are not ship-rigged may be more referred to by their sail rig, such as schooner, brig. There are many different types of sailing ships, but they all have certain basic things in common, every sailing ship has a hull, rigging and at least one mast to hold up the sails that use the wind to power the ship. The crew who sail a ship are called sailors or hands and they take turns to take the watch, the active managers of the ship and her performance for a period. Watches are traditionally four hours long, some sailing ships use traditional ships bells to tell the time and regulate the watch system, with the bell being rung once for every half hour into the watch and rung eight times at watch end. A severe storm could lead to shipwreck, and the loss of all hands, Sailing ships are limited in their maximum size compared to ships with heat engines, so economies of scale are limited. The heaviest sailing ships never exceeded 14,000 tons displacement, there are many types of sailing ships, mostly distinguished by their rigging, keel, or number and configuration of masts. There are types of smaller sailboats not listed here. The steam power was used to drive the winches, hoists, a similar ship Kruzenshtern, a very large sailing vessel without mechanical assists, had a crew of 257 men, compared to the Preussen, which required only 48 men. In 2006, automated control had been taken to the point where sails could be operated by one using a central control unit. The DynaRig technology was first developed in the 1960s in Germany by W. Prolls as an alternative for commercial ships to prepare for a possible future energy crisis. The technology is a version of the same type of sail used by the Preussen. The main difference is that the yards do not swing around a fixed mast but are attached to a rotating mast. 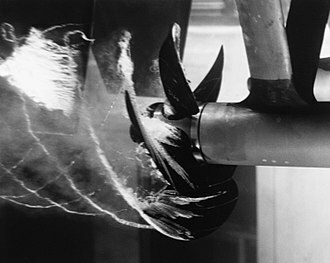 DynaRig along with extensive computerization was used in the proof-of-concept Maltese Falcon to enable it to be sailed with no crew aloft, as of 2013, with increasing restrictions on use of bunker fuel, attempts were underway to develop hybrid sailing ships using automated sail and alternative fuels. 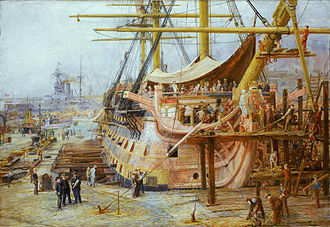 Steam frigates, known as screw frigates, and the smaller steam corvettes and steam sloops were steam-powered warships. 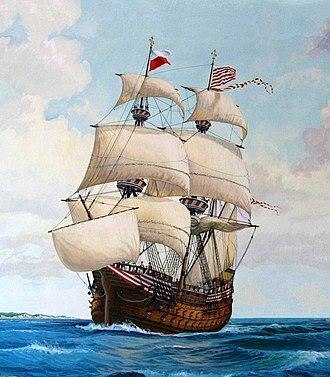 The first such ships were steam-powered versions of the frigates, corvettes. 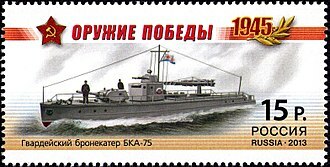 The first vessel that can be considered a warship was the Demologos. 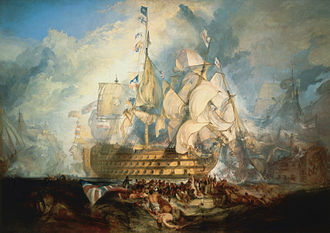 From the early 1820s, the British Navy began building a number of steam warships. 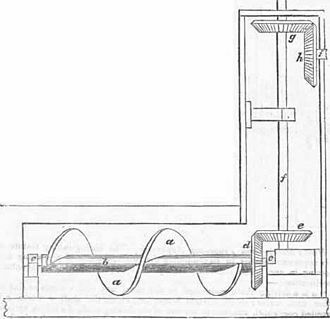 This first generation of warships, termed paddle warships, used paddlewheels mounted on either the sides or in the center. The ships were equipped with guns, generally mounted on one deck. These warships more closely resembled the traditional sailing warship, and were built with steam engines and these screw frigates, built first of wood and of iron, continued to perform the traditional role of the frigate until late in the 19th century. France and the United Kingdom were the two countries to develop fleets of wooden steam screw battleships, and both navies built numbers of screw frigates. From 1859, armour was added to ships based on existing frigate, the phrase armoured frigate remained in use for some time to denote a sail-equipped, broadside-firing type of ironclad. Nobleman Afonso de Albuquerque was returning from the conquest of Malacca, bringing with him a large treasure trove for the Portuguese king, when the ship was lost off the coast of Sumatra. 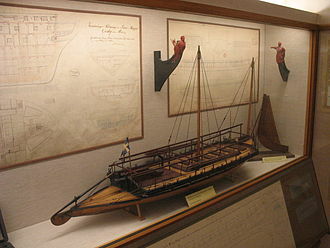 A replica of Flor do Mar is housed in the Maritime Museum in Malacca, Flor do Mar was built in Lisbon in 1502, being one of the finest vessels of the time. She was built for the Portuguese India run, at 400 tons, she was the largest carrack yet built, nearly twice the size of the largest ships that had gone on previous runs. She took her maiden trip from Portugal to India in 1502, under the command of Estevão da Gama, a cousin of Vasco da Gama. However, her trip in 1503 met some complications—once loaded with spices, her large size and weight made her hard to maneouver. Eyewitness Thomé Lopes reports her springing leaks and being forced to stop for repairs on Mozambique Island for nearly two months and she finally arrived in Portugal in late 1503. Flor do Mar went out again on another India run in March 1505 under the command of João da Nova, as part of the 7th Portuguese India fleet of 22 ships, francisco de Almeida as the first viceroy of Portuguese India. On the return trip in 1506, she again ran into difficulties in the Mozambique Channel. 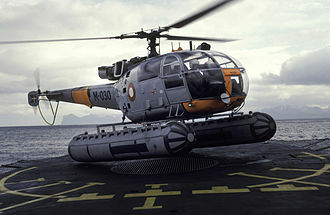 Springing leaks, she was forced to once again in Mozambique island for lengthy repairs. This time, she would stay stuck in the channel for ten months. Nova attempted to take her out repeatedly, but the ship kept running into problems, forcing him to return to the island, repair. She was never to return to Portugal, Flor do Mar and her captain João da Nova participated in Cunhas conquest of Socotra. In the aftermath, to Novas surprise, Cunha ordered her to remain in the western Arabian Sea and the ship participated in the Albuquerque-led conquest of the cities of Curiati, Muscat in July 1507, Khor Fakkan, and Ormuz in the same year. 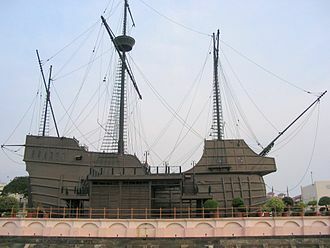 Two years in India, she was commandeered to serve as the flagship of D, francisco de Almeida in the 1509 battle of Diu. João da Nova died that year in Cochin, and Almeida planned to bring Flor do Mar back to Portugal himself. But his successor, Afonso de Albuquerque, forbade it and retained the ship in India, under Afonso de Albuquerques orders, Flor do Mar supported the conquest of Goa in 1510 as well as the conquest of Malacca in 1511. 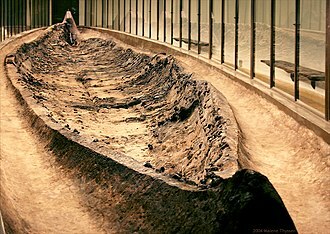 Syracusia was a 110 m ancient Greek ship sometimes claimed to be the largest transport ship of antiquity. She only sailed once, from Syracuse in Sicily to Alexandria in the Ptolemaic Kingdom, Syracusia was designed by Archimedes and built around 240 BC by Archias of Corinth on the orders of Hieron II of Syracuse. 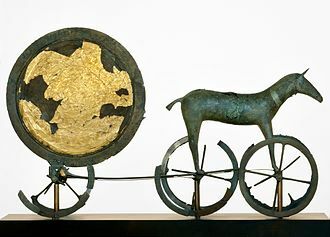 The historian Moschion of Phaselis said that Syracusia could carry a cargo of some 1,600 to 1,800 tons and she reputedly bore more than 200 soldiers, as well as a catapult. She sailed only once to berth in Alexandria, where she was given to Ptolemy III Euergetes of Egypt. A discussion of ship, as well as the complete text of Athenaeus is in Cassons Ships. 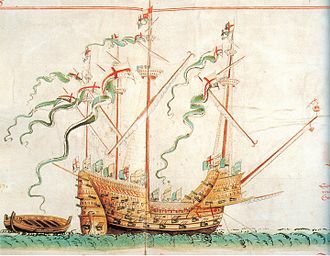 This may be the first example of proactive antifouling technology, the top deck featured eight towers, equipped with two archers and four fully armed men. On the bow of the ship was a platform for fighting. 20 rows of oars would have been visible from the outside, in terms of passenger comfort, Syracusia would be the equivalent of Titanic compared to other ships of the era. Stern view at SAIL Amsterdam 2010. Items recovered from original ship. Ships of the Fra Mauro map (1460). A large tiller discovered at the Treasure Boat Shipyard in 2004. A prauw jong, tanja sail like these are dominant in the archipelago. This depiction missing a bowsprit sail. A small Javanese jong, with western influenced sails and rigging, 1856. Scale model of an Océan-class ship, including the inner disposition of the lower decks, on display at the Swiss Museum of Transport in Lucerne. Syracusia as imagined in 1798.